Years ago when a long-time Marine Navigation industry partner approached us with the idea of making the world's first rotational molded navigation buoy, we thought to ourselves: "what an incredible opportunity, and a huge challenge". We took a breath and got to work designing the product. The result was a solution that brought the advantages of longevity and a greatly reduced maintenance cycle. Fast-forward a few decades and thousands of navigational buoys delivered worldwide. Argentina to Norway, Dubai to Canada - if you are sailing the Atlantic or Pacific Oceans and you can find your way home, you're welcome! "Partnership" - it used to mean something, at least, it did back when we first started using it 40 years ago. So it has a bit of a different meaning to us than most. To us it means sticking together, doing what you say you will do, delivering on your promises, and making it right when an opportunity is missed. This simple operating philosophy means that when we partner with an OEM manufacturer we are there to be deeply integrated in their process. We routinely design cost effective, viable solutions with manufacturability in mind. 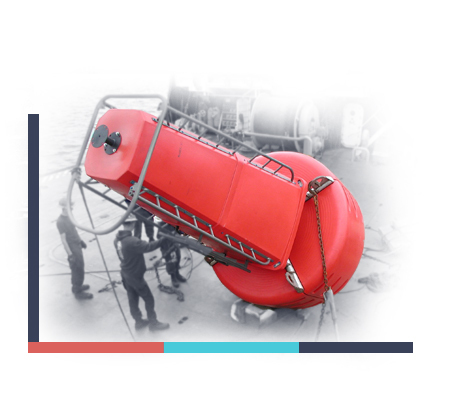 Over the past 40 years we have delivered many different products to our OEM Partners in the marine and navigation industry including; navigational buoys from small markers to offshore buoys that hold 20 nautical mile lanterns. We also build recreational products for the marine industry like dock floats, to heavy industrial flotation for environmental applications, both permanent installations and emergency response. What's more is we think you'll be hard pressed to find a partner with more experience in your industry. That translates to a team that can facilitate design, engineering, development and manufacturing of your critical components, and deliver them from a reliable source with the track record to prove it. Not In The Marine Navigation Industry?